Welcome to Pioneer Spirit, where our goal is to help you live closer to nature. We are a small business located in northern Ontario Canada, who specializes in handcrafting artisanal 100% pure beeswax candles, herb-infused beeswax candles, beeswax melts using pure essential oils, and handcraft other earth-friendly products. Great care is taken on the quality and design of each item manufactured, as well as the ingredients used to make those items. We are very selective on where we source our supplies. We buy locally whenever possible and we use the most natural ingredients available. All of our beeswax comes from Canadian apiaries. 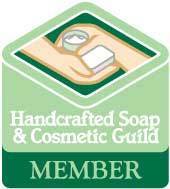 We are a members of both the Canadian Guild of Soapmakers, Chandlers & Cosmetic Crafters and the Handcrafted Soap and Cosmetic Guild. We strive on quality and want to provide affordable environmentally and socially responsible goods, produced with minimal waste of energy and materials. All of our items are handcrafted and are made in small batches or per order. Our beeswax candles are works of art and many have taken years to perfect.